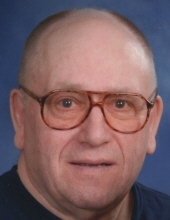 Peter W. Zirtzlaff, age 77, of Plymouth, WI, passed away unexpectedly on Monday (April 1, 2019) at HSHS St. Nicholas Hospital in Sheboygan. He was born on March 19, 1942 in Cedarburg, WI, a son to the late Herbert and Marguerite (Herman) Zirtzlaff. Pete attended Cedarburg High School, graduating with the class of 1960. On September 16, 1967, he was united in marriage to the love of his life, Sharon Jung, at St. Martin’s UCC in Fillmore, WI. Pete owned and operated his own farm for over 20 years. He was a member at St. John Lutheran Church in Plymouth and the coordinator of the SHARE Program in Plymouth for many years. He loved playing dartball, sheepshead, going to Generations in Plymouth, and taking care of his grandkids and attending all of their events. He enjoyed spending time with his friends, family, and his dog, Tippy. Pete especially adored his great-granddaughter, Rose. Survivors include his loving wife: Sharon; Three children: Jamie Zirtzlaff (special friend: Roger Homan), Jolene and Joel (Elizabeth) Zirtzlaff; Eight grandchildren: Nicholaus Swoverland (special friend: Kim Lang), Alison (Josh) Derus, Julia (Sam) Lindsay. Joshua Swoverland, Rebecca Swoverland, Sarah Swoverland, Madeline Zirtzlaff, Sophie Zirtzlaff; One great-granddaughter: Rose Lindsay; Brother: Thomas (Kathie) Zirtzlaff; Sister: Jean (Thomas) Meyers; Nine brothers and sisters-in-law: Joyce Doll, Ruth Gollnick, Ralph (Sandra) Jung, Betty (Eugene) Laatsch, Judith Fahney, Pat Jelinek, Sandra Rosenthal, Carol (Russell) Fellenz and Dale (Pamela) Jung. He is further survived by many nieces, nephews, other relatives and friends. He is preceded in death by his parents, grandparents, two sisters-in-law, and six brothers-in-law. Memorial services will be held on Tuesday (April 9, 2019) at 6:30 PM at St. John Lutheran Church in Plymouth. Rev. Nathan Meador and Rev. John Schultz, Pastors of the Church will co-officiate. Visitation will be held at the CHURCH on Tuesday (April 9th) from 4:00 PM until time of Services. In lieu of flowers, a memorial fund is being established in Pete’s name. The family would like to thank the Plymouth Police Department and Plymouth Ambulance Service for the kind and compassionate help and care given to Pete. To send flowers or a remembrance gift to the family of Peter W. Zirtzlaff, please visit our Tribute Store. "Email Address" would like to share the life celebration of Peter W. Zirtzlaff. Click on the "link" to go to share a favorite memory or leave a condolence message for the family.